This one’s quick and easy. 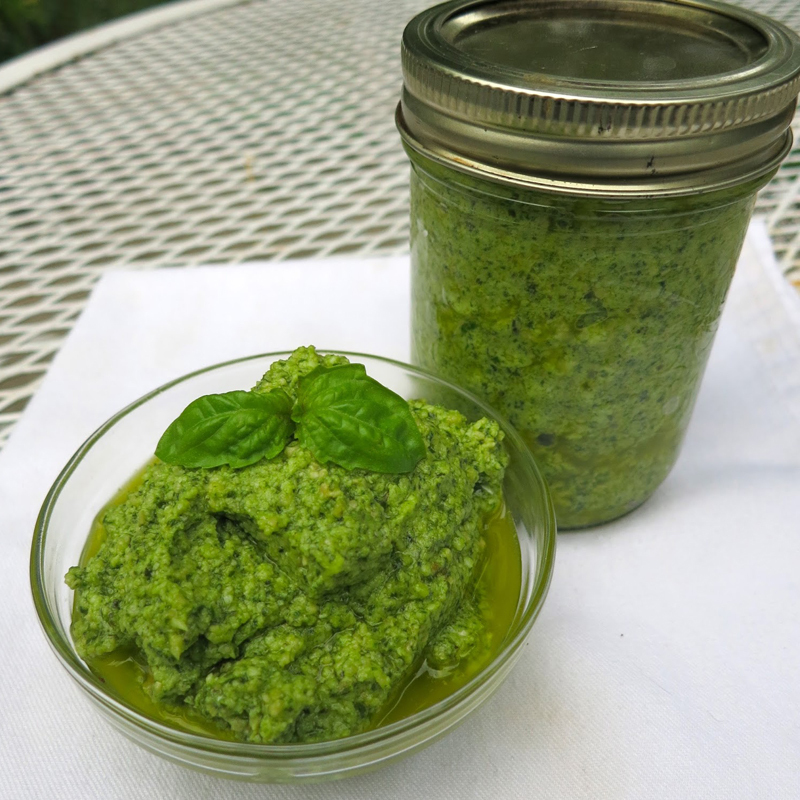 My new recipe for pesto is lemony, fresh and sweet, made with cashews (instead of expensive pine nuts). Use it as a spread or toss it onto pasta. It’s also nice to put into mason jars and give as a hostess gift! Throw all the ingredients in the food processor except for the olive oil. Blend until smooth and pour the olive oil in slowly toward the end while the machine is on. 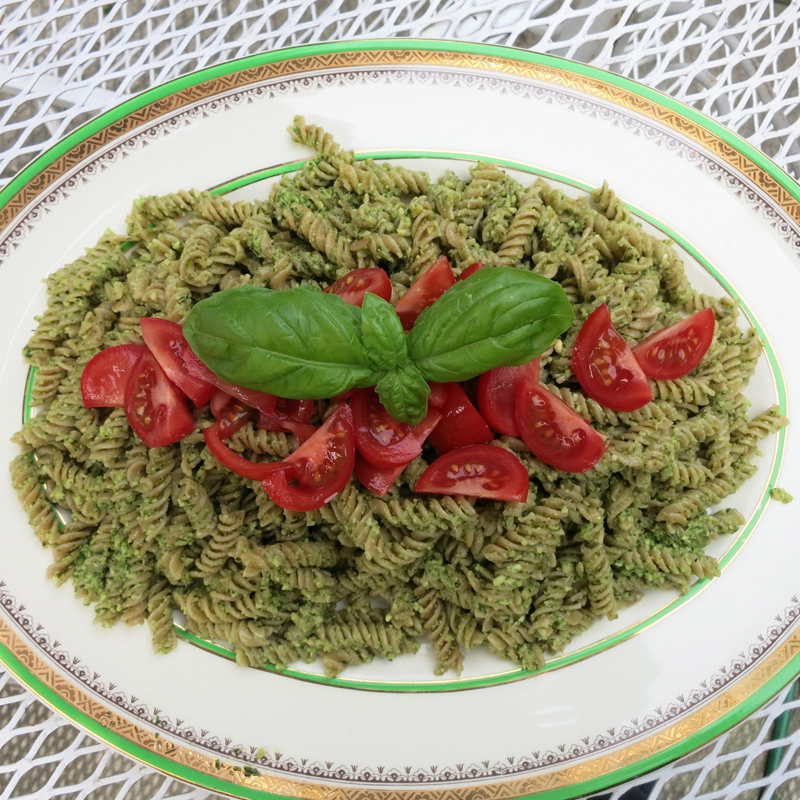 I tossed the pesto onto some whole wheat rotini and topped with chopped cherry tomatoes. DELICIOUS!